Atlas Model Railroad Company, Inc., and Wm. K. Walthers, Inc. have reached an agreement under which Atlas will purchase all N-scale locomotive and rolling stock tooling owned by Walthers, including the Walthers and Life-Like lines. 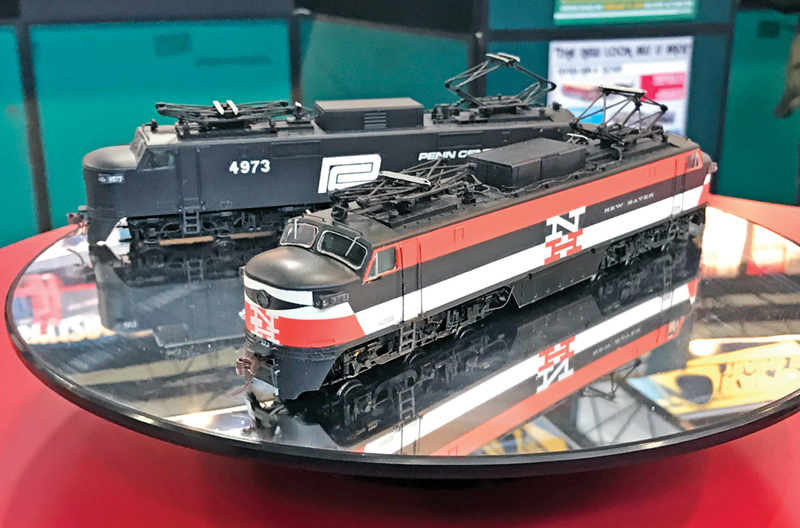 Atlas will incorporate the tooling into its Atlas Master, Atlas Classic, and Trainman N scale lines, the company said in a statement today. 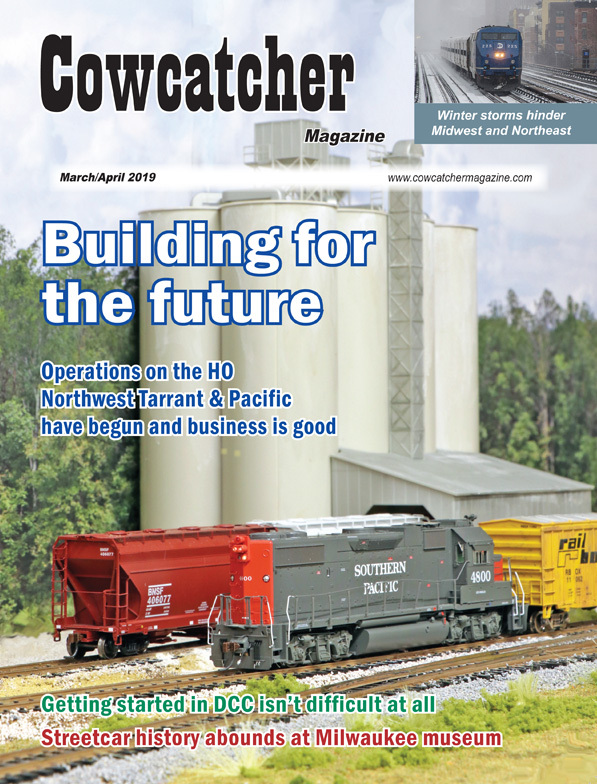 Walthers will continue to offer N-scale items in its Cornerstone, SceneMaster, and Walthers Controls brands, including new items as well as items currently in those lines. Tom Haedrich, Executive Chairman at Atlas said the tooling fits right in with the company’s existing N-scale lines. “We are committed to producing them with the latest technology, prototypical accuracy, and high quality you’ve come to expect from Atlas,” he said. Model railroaders can brush up on their skills and learn about prototype rails at the Rocky Mountain Train Show March 3-4 in Denver. More than 30 clinics, headlined by Union Pacific’s steam operations update, are scheduled over both days of the show, which will cover nearly 130,000 square feet at the Denver Mart. Manufacturers, dealers, layouts and representatives from museums and historical societies will also be on hand. UP’s widely popular session forced show officials to move the presentation to a larger room in the Forum area. Last year, a standing room only crowd of more than 100 heard Ed Dickens Jr., senior manager of UP’s Heritage Operations, update the restoration of Big Boy No. 4014 and offer insight on Northern-class steam locomotive No. 844. Dickens will do it again at 11 a.m. on Saturday. No. 4014, one of eight remaining Big Boy locomotives is getting a massive makeover for a return to operation. Since its arrival from the RailGiants Train Museum in Pomona, CA, in 2014, No. 4014 has undergone a painstaking ground-up rebirth. Thousands of manhours have been spent since disassembly began in earnest in November 2016, and thousands more are scheduled before No. 4014 runs again in 2019. When complete, the Big Boy will join No. 844 and Challenger No. 3985 on UP’s annual steam excursions. Other prototype presentations include Amtrak’s Winter Park Express. Colorado Rail Passenger Association President Jim Souby will discuss how Denver got back its Ski Train. The Ski Train, which provides weekend service between Denver Union Station and Winter Park Resort, returned in 2017 after being shut down in 2009. The train originally began service in 1940 during the winter ski season. In 2015, the train returned to limited service to celebrate Winter Park Resort’s 75th anniversary before returning in January 2017. Service runs through March. 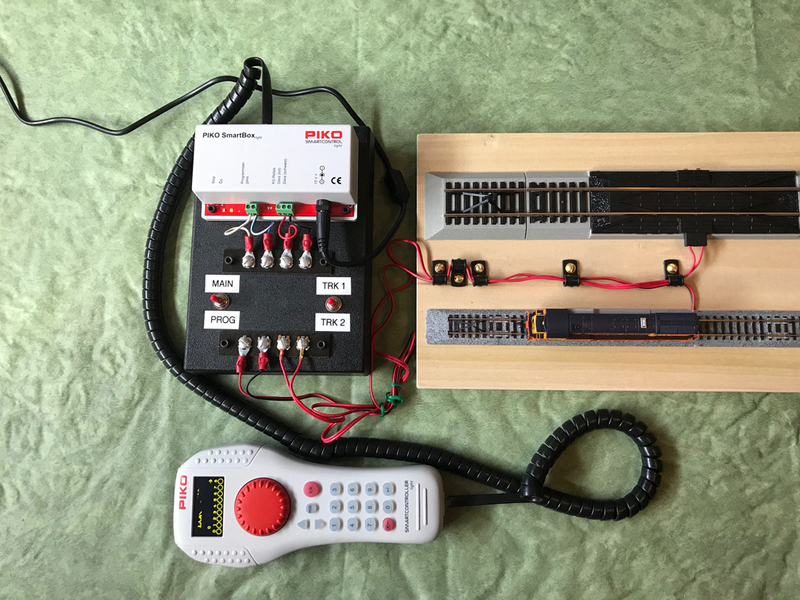 In other sessions, modelers can learn everything from wiring to basic track laying to installing DCC decoders for a model railroad. SoundTraxx’s George Bogatiuk III will demonstrate the next generation of decoders. Among the topics he’ll cover is the company’s sound selections, operational features, lighting features and audio tools. 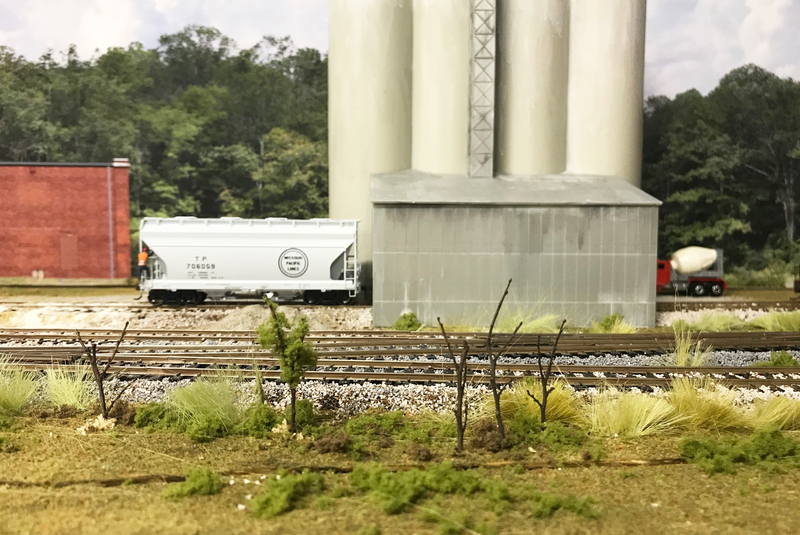 In addition to clinics, some of the model railroad industry’s largest manufacturers will be on hand. The list includes Athearn, Azatrax, Bachmann Trains, Broadway Limited, Kato, U.S.A., Lionel, Micro-Trains, Rapido Trains, Ross Custom Switches, MTH and SoundTraxx. 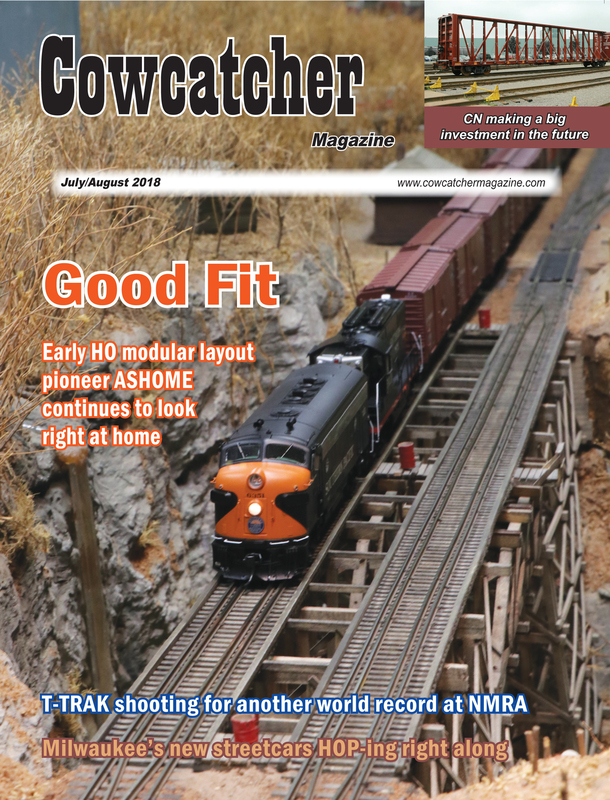 More than 20 model railroads, including the Trout Creek & Western and Colorado & Great Western that were featured in Cowcatcher Magazine, will be on display. New this year is the Albuquerque Scale HO on Modules (ASHOME) and the Sherman Hill Model Railroad Club. The Mile High Garden Railroad Club and New Mexico Narrow Gauge railroads will also be on display. While there’s plenty for modelers, Gardberg said the long-running show strives to introduce new people to the hobby. A number of kids activities, including pedal cars near the dock, are planned. “The big thing is introducing the public to a new hobby and provide a show that satisfies newcomers but also for people who have been in the hobby their entire lives,” said Gardberg, who co-chairs the show with Butch Walb and Larry Thomas. 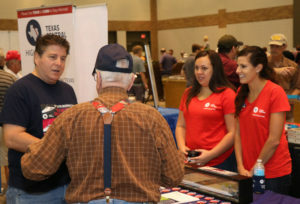 “We’re family friendly and geared toward hobbyists. 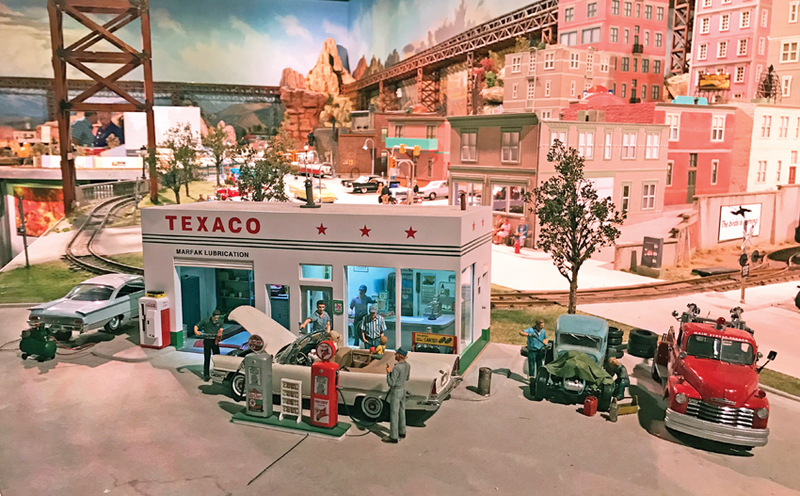 The Rocky Mountain Train Show, began on Thanksgiving 1976 as a Train Collectors of America show and has since become a venue to include all facets of model railroading. Shows in recent years have drawn 10,000-12,000. The Texas Bullet Train made a big push forward before Christmas when federal regulators outlined a preferred route between North Texas and Houston, including identifying passenger station locations. The Federal Railroad Administration’s (FRA) analysis, completed after nearly four years of work, provides a path for the high-speed train’s planning, design and pre-construction phases with the intent to ensure the safety and environmental well-being of all along the 240-mile route, according to Texas Central Railway, which is building the investor-owned high-speed passenger line. The next step, according to TCR, is release of the Final Environmental Impact Statement, followed by Record of Decision. In the meantime, the FRA is hosting public hearings in 10 counties affected by the line beginning at the end of January. TCR has been working on this since 2013. Trains are expected to run up to 186 mph and make the trip between Dallas and Houston in about 90 minutes. Speeds could hit 205 mph with regulatory approval. Stations, according to the analysis, will be in Dallas, Houston and at mid-point in Grimes County. It would be fantastic to see these two major Texan cities being linked with such short travel time. This would make commuting viable too. As a result, I’m sure this will be of interest to people working in Houston but looking to purchase real estate in Dallas. Anyone one in this position may want to go to https://dallas.magnoliarealty.com/ to view an array of homes in the area. Train consists will model the N700-1 series that JR Central employs in Japan, but with modifications. In Japan the trains run in 16-car sets and carry 1,600 passengers. TCR trains initially will be smaller and carry 500 passengers. The line, which is estimated to cost $12 billion, has faced stiff opposition from landowners who fear their property values will decline and they’ll be forced to give up land. TCR says it will use eminent domain only as a last resort. The Draft Environmental Impact Statement (DEIS), the result of an extensive, public process required for major infrastructure projects, starts the consultation process. The U.S. Department of Transportation called the report’s release “an important milestone” in the permitting process of the train. The report drew praise from proponents. The independent environmental analysis is the result of input from hundreds of experts, including biologists and natural resource technicians; civil, audio, mechanical and electrical engineers; architects and geologists; and historians and sociologists. The DEIS reviewed potential impact on the environment and how to best protect private property and farmland; natural resources, water and wetlands; threatened and endangered species and energy demands. The assessment is the latest major advancement by the train, including the recent selection of Irving, Texas-based Fluor Enterprises Inc. and the Lane Construction Corp. as the design/build team, with WSP USA conducting engineering work. The report also reflects public input from landowners, community groups and elected officials. An independent consultant managed by the FRA solicited, compiled and reviewed the public responses and technical reviews. Texas Central CEO Carlos Aguilar said the design/build teams, which have domestic and international rail experience, will use the DEIS findings to incorporate more details into planning, cost and scheduling. Their work will address remaining environmental issues in the best way possible, he said, and avoid conflicts with existing infrastructure, such as roads, transmission lines and subsurface utilities. Texas Central Railway President Tim Keith is expected to share more information about the project Jan. 19 at the Southwestern Rail Conference in Dallas. A preferred route for the all-electric train follows transmission lines in a utility corridor between North Texas and Houston. In comparing the final options, the FRA identified a preferred route that “would have fewer permanent impacts to the socioeconomic, natural, physical and cultural resources environment.” The alignment would minimize impacts on the environment and existing development and would allow the system to optimize operational efficiency. A more precise route, which would accelerate planning, design and coordination with landowners and communities, is outlined. Potential passenger terminal sites include Dallas, Houston and the only midway stop, in Grimes County, serving Bryan/College Station in the Brazos Valley. The report notes that transit services in Dallas and Harris counties, operated by DART and METRO, respectively, could see increased ridership. Also, stations would be built to minimize energy and water usage and promote indoor air quality. The Dallas station would be in the Cedars area south of the Kay Bailey Hutchison Convention Center. The Brazos Valley Station in Grimes County would be near Texas 90 and State Highway 30. It would serve Bryan-College Station and include direct shuttle service to Texas A&M University, according to the report. Three options are listed for the Houston passenger terminal, with a final to be determined later, in the general area south of U.S. 290, west of Loop 610 and north of Interstate 10 – near major employment centers, including the Galleria, Medical Center, Energy Corridor and downtown. Proposed high-speed train technology will incorporate viaduct structures on a significant part of the alignment to maintain existing road crossings and enable economic activity to continue. The line will feature no “at-grade crossings,” removing the risk of intersecting with vehicles and allowing for free movement of wildlife, pedestrians and cars. Also, the clean nature of the system will benefit high-growth areas where some counties already have reached air quality non-attainment status. The project is expected to generate $36 billion in direct economic activity over the next 25 years, create more than 10,000 direct jobs per year during construction and up to 1,000 jobs permanently when operational. As the DEIS confirms, at least 25 percent of these permanent jobs will be in rural counties along the route. The railroad also expects to pay more than $2.5 billion in taxes over the next 25 years. 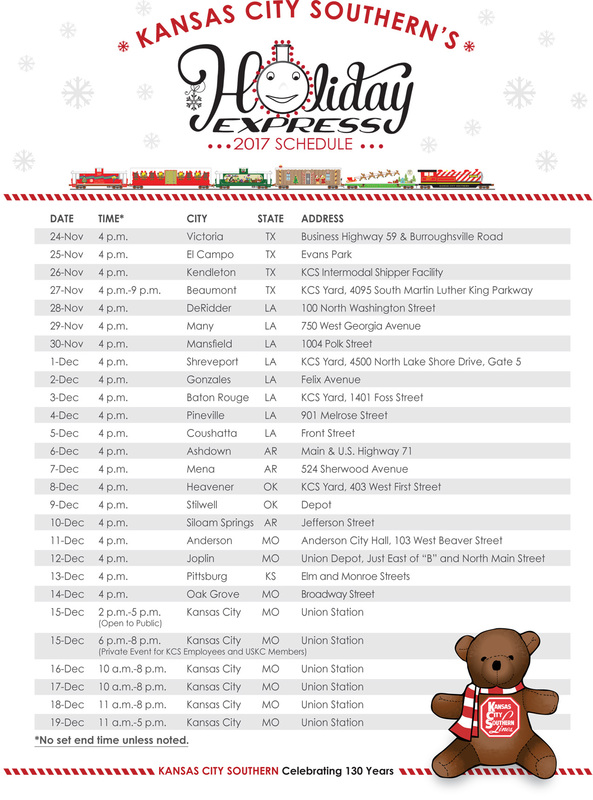 KANSAS CITY, MO — Kansas City Southern’s 17th annual Holiday Express train kicks off its charitable run Nov. 24 in Victoria, TX. The train will stop in 22 communities in six states on 26 dates running through Dec. 19. At each stop, visitors can board the train, visit with Santa and his elves, and tour the inside of three cars of the festive six-car train. The event is free. The Holiday Express has raised well over $1 million to purchase gift cards, which are donated to the Salvation Army at each stop. The gift cards are then used to buy warm clothing and other necessities for children in need in the local community. KCS is working with the Salvation Army this year to specially assist communities along the route most impacted by Hurricane Harvey, including Victoria, El Campo, Kendleton and Beaumont. The KCS Charitable Fund will make a supplemental donation at these communities.KCS and its employees have previously given over $100,000 to the American Red Cross for Hurricane Harvey relief. The train will make stops in Texas, Louisiana, Arkansas, Oklahoma, Missouri and Kansas before completing its run at Kansas City’s Union Station on Dec. 15. It will be on public display at the station Dec. 16-19. The KCS Holiday Express was built on the tradition of the Santa Train, which ran on a segment of the network bought by KCS in 1997. In 2000, a group of warm-hearted KCS employees noticed that the Santa Train was the only Christmas some kids had, and that some kids did not have essential items like coats, hats and gloves, so they committed to elevating the project. In 2001, volunteers transformed a retired freight train to the experience that communities throughout KCS’ U.S. service territory enjoy today. Led by KCS’ Southern Belle business train, the Holiday Express train includes a smiling tank car “Rudy”; a flatcar carrying Santa’s sleigh, reindeer and a miniature village; a gingerbread box car; an elves’ workshop; the reindeer stable; and a little red caboose. Each car is dressed in lights. 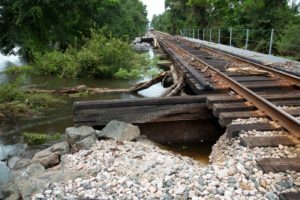 As floodwaters recede and sunny skies prevail, railroad activity in Houston and along the Southeast Texas coast is resuming. Class I railroads have restarted service across most of the network affected by Hurricane Harvey in late August, and Amtrak plans to restart its Sunset Limited by Wednesday. Harvey halted rail traffic when it hit near Corpus Christi on Aug. 25 and barreled up the coast. The storm dumped a U.S. record 52 inches of rain in some areas, causing an estimated $75 billion in damages. Railroads sustained flooded yards and washed-out track and bridges, forcing stoppages and delays. Traffic on Union Pacific, BNSF, Kansas City Southern, Amtrak and Houston METRORail was idle the first four or five days after the storm. But by last Thursday, all but 50 miles of Union Pacific track in Houston had been restored, according to an update on the company’s website. Elsewhere, all BNSF subdivisions affected by the storm had opened, and KCS had most service restored. In all, 1,750 miles of UP’s track that affect 2,440 route miles were closed because of high water and damage. 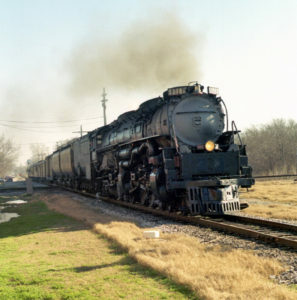 Harvey knocked out service on the railroad’s Houston-area network north to Hearne, east of Beaumont, south to Brownsville and west to San Antonio. Two days after the storm, UP began assessing damage and discovered 96 outages in its network along the Gulf Coast. Two days later, 150 outages were reported. Dispatching in Spring was moved to Omaha. By Sept. 1, UP had half the downed routes back in service. “Over the last two weeks we’ve worked tirelessly to restore service in the affected areas, where the damage has been significant,” Executive Vice President & Chief Marketing Officer Beth Whited said in an update to customers on the company’s website. Three of six bridges knocked out have been restored. 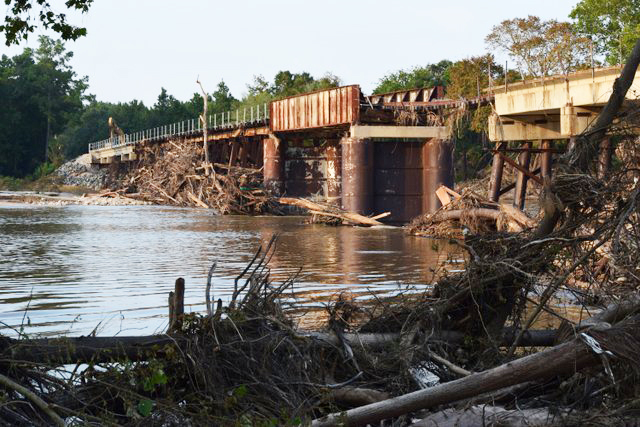 The remaining bridges under repair have closed 50 miles of track affecting 420 route miles north of Houston, east of Beaumont and south of Angleton. A crane was brought in to repair the bridge over the San Jacinto River on the “Rabbit” line between Humble and Cleveland, TX. The company hasn’t said when the track will be open. UP crews have been relocated to affected areas and 145 locomotives added to handle a surge in traffic as operations resume. An additional 200 locomotives are expected to be added. Also, all of the 25,508 cars affected by Harvey have been inspected, the company says. Whited said that in light of pipeline and refinery disruptions, the company is enacting plans to ensure locomotives have fuel. While much of the network is rolling again, many customer facilities remain closed as UP works through the backlog of trains and car inventories. Whited said full recovery will take time. BNSF has restored service on all of its subdivisions impacted by Harvey after multiple washouts and flooding ceased operations. By Sept. 7 trains were moving across the Longview Subdivision and between Beaumont and Silsbee on the Silsbee Subdivision. 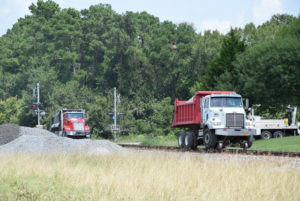 The primary rail line connecting Beaumont and locations in Louisiana has also reopened. The company said track and signal work continues in some locations and trains may experience delays during scheduled maintenance windows. Some traffic is being rerouted around areas where service is being restored southwest of Houston. The storm shut down BNSF traffic in Houston and along the Gulf Coast. By Aug. 31 the company said it had made significant progress restoring rail service. The Houston Subdivision was among the first restored, followed by the Galveston Subdivision from Temple to just south of Alvin. Kansas City Southern in slowly restoring lines in the area. Harvey shut down lanes between Kendleton (Houston) and Laredo, resulting in a force majeure being declared for its U.S. and Mexico operations and an embargo for affected areas along the coast. The Beaumont subdivision was expected to open Sept. 9, and all south and northbound cross-border embargoes for locations of Houston, Corpus Christi, Victoria and Rosenberg to and from Laredo have been lifted. Embargoes remained for traffic between Beaumont and DeQuincy, LA. On Sept. 3, KCS began resuming cross-border traffic with the reopening of its Rosenberg Subdivision under slow orders. Train speeds were restricted to 10 mph because of saturated conditions and continued repairs, the company said in a service alert. Amtrak plans to resume service between Los Angeles and New Orleans via Houston by the Sunset Limited on Wednesday with the departure of the eastbound Train 2 from Los Angeles. Westbound Train 1 will depart Saturday from New Orleans. Amtrak’s route between San Antonio and New Orleans was affected by the storm. Also, all light-rail service in Houston was restored by Sept. 5. Limited service started on the Red Line on Aug. 31. In the wake of unprecedented flooding and damage along the Texas coast, Union Pacific and Kansas City Southern today announced combined pledges of $300,000 toward supporting Hurricane Harvey relief efforts. UP pledged $250,000 to be come from corporate and employee donations. Immediate donations of $100,000 to the American Red Cross and $50,000 to Houston Mayor Sylvester Turner’s Hurricane Harvey Relief Fund are being made. Additionally, Union Pacific will match contributions to its “Friend to Friend” employee support network through Sept. 30, dollar for dollar, up to $100,000. The company, whose Southern Region division is headquartered in Houston, will also match donations made to a Disaster Relief Matching Gifts Program for Hurricane Harvey, where employees can provide funding directly to American Red Cross, Salvation Army and others. KCS announced its charitable fund will immediately donate $50,000 to the American Red Cross. In addition, the Kansas City-based railroad will match dollar for dollar employee gifts to the American Red Cross via the Greater Kansas City Community Foundation-KCS Fund up to $25,000. 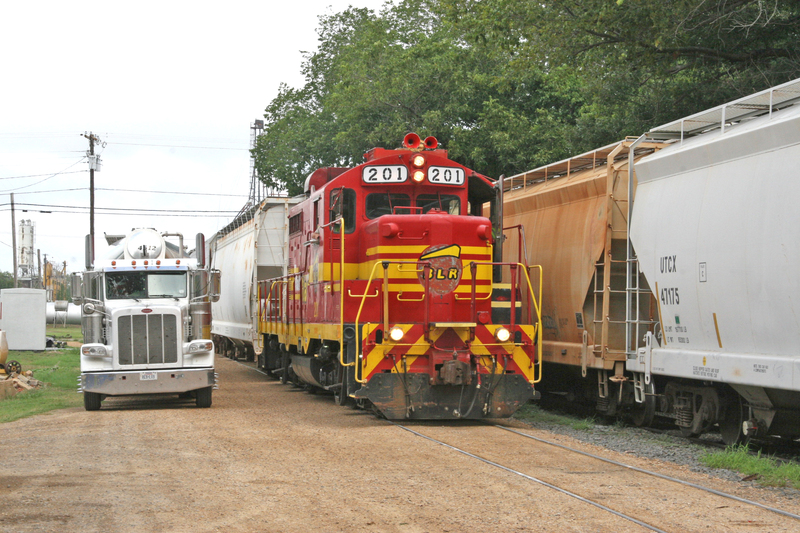 Houston, Texas and the Gulf region are central to the KCS rail network with many employees and customers located there. Rail and other traffic remained at a standstill as the region dealt with record flooding. According to The Weather Channel, parts of Houston have reported receiving up to 51 inches of rainfall − a preliminary all-time record in the continental U.S. − and more is expected as the storm, downgraded to Tropical Storm Harvey, reforms over the Gulf of Mexico. About 50 inches of rain is expected by Friday. On Monday, UP suspended rail operations along the Texas Gulf Coast from Brownsville through Corpus Christi to Houston and east to Lake Charles, LA. No trains are operating through flooded and storm-damaged areas. Embargoes for all rail traffic destined to Gulf Coast locations and others within UP’s Houston service unit were placed. UP recommends customers consider diverting cars destined to the impacted area where feasible. UP is conducting track inspections, where possible, in anticipation of resuming operations. BNSF is using drones to survey damage, a company spokesman said. Train movements in the region have been halted. The storm also has disrupted Amtrak’s Sunset Limited and Texas Eagle. In a service advisory posted Monday, Amtrak said the Sunset Limited (Train 1/421 & 2/422) will originate and terminate in San Antonio instead of New Orleans, with no alternate transportation between New Orleans and San Antonio. Also, the Texas Eagle (Train 21/421 & 22/422) will originate and terminate in Fort Worth instead of San Antonio, with alternate transportation provided between Fort Worth and San Antonio. Amtrak Thruway Buses in central and southern Texas have been cancelled. Amtrak’sstation in Houston remains closed. Many major highways remain disrupted by the storm, and both of Houston’s airports are closed and may not open until Thursday or Friday. In Galveston, the Galveston Railroad Museum, which was heavily damaged by Hurricane Ike in 2008, dodged a bullet. Executive Director Morris Gould said none of the buildings took on water, although it appeared the yard where much of GRM’s rolling stock is on display, had about 10 inches of water. Before the storm hit Friday, GRM moved its Santa Fe F7A “Warbonnet” locomotives and Amtrak-certified vintage Budd passenger cars to BNSF’s yard in Pearland. BNSF reported over the weekend that the yard was inaccessible because of flooding. No details were provided on the condition of any equipment in the yard.